Don't forget to catch the beginning of our Ireland trip located.Part 1 is located here and Part 2 here. Here's the postcard from the hotel that was in our room. It gives a great aerial overview of the castle and just how big it really is! 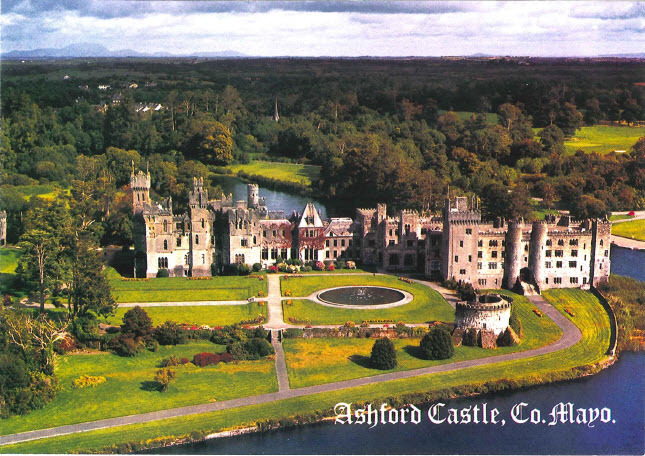 We were escorted to our room upon arrival and shown the formal dining room, the sitting area and bar with evening entertainment, and a few other areas in the castle. We took pictures of our room as well, including the view we enjoyed the following morning. We decided to see what the evening entertainment was and got a couple drinks at the bar before sitting down to enjoy the piano music and singing. Another couple asked if they could join us and we ended up visiting with them for a few hours. 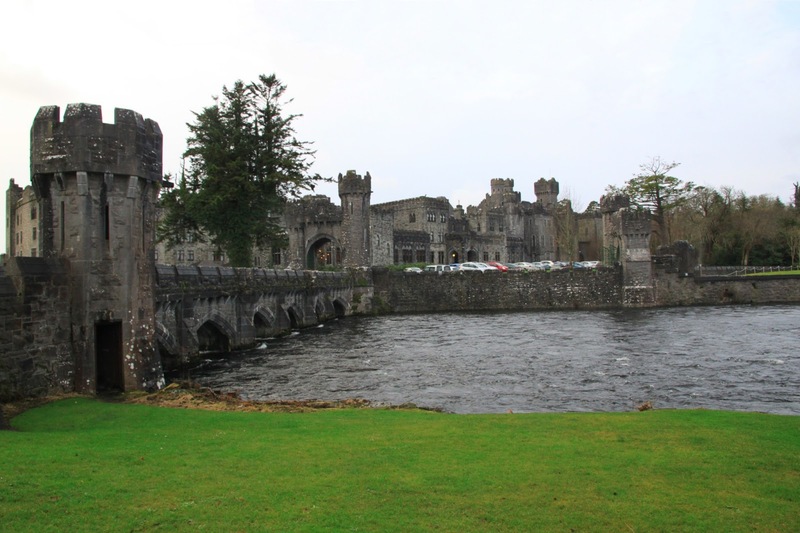 After leaving Ashford Castle we headed south towards Galway to see the Cliffs of Moher. It was incredibly windy and cold, but we endured the weather and walked along the cliffs. It was so windy that a "snowfall" of sea foam kept blanketing the cliff side despite being hundreds of feet above the sea. We hurried over to try and make the last tour at Doolin Caves for our final tourist stop in Ireland. 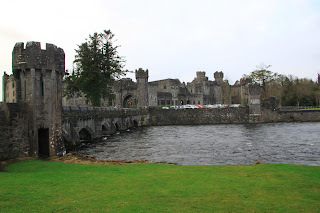 We were able to make the tour and see Ireland's largest stalactite and caves. We made the drive back to Dublin stopping for dinner at a French restaurant called L'Gueuleton that one of my coworkers had recommended. The food was delicious and a fabulous end to our time in Dublin! We headed to the airport the following morning for our flight back to London to celebrate New Year's Eve. You can read about our London trip Part 1 here and Part 2 here.